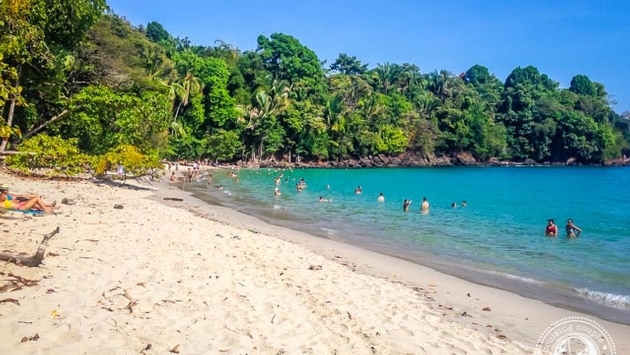 Manuel Antonio is one of Costa Rica’s most popular tourist destinations. The National Park is as gorgeous as can be, with multiple beaches, easy jungle hiking and a vast array of opportunities for wildlife spotting. Add to that its convenient location next to world-renowned hotels, a wide variety of restaurants and a nearby domestic airport, and it’s hardly any surprise that the National Park is a hotspot for locals and foreigners alike. 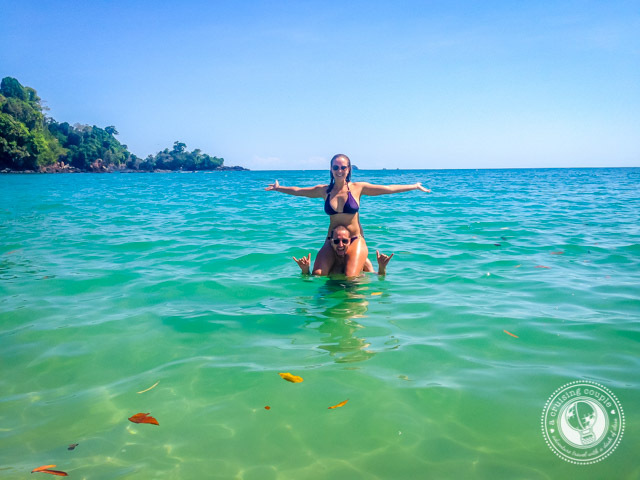 Manuel Antonio National Park is located outside the town of Quepos on the Central Pacific Coast, about two and a half hours from the San Jose International Airport (SJO). Nature Air and Sansa flights depart from SJO to Quepos every day and take about 20 minutes. There are also plenty of shuttles, or of course, you can arrive via public bus or rental car. Manuel Antonio is open from 7 a.m. to 4 p.m. and closed every Monday. 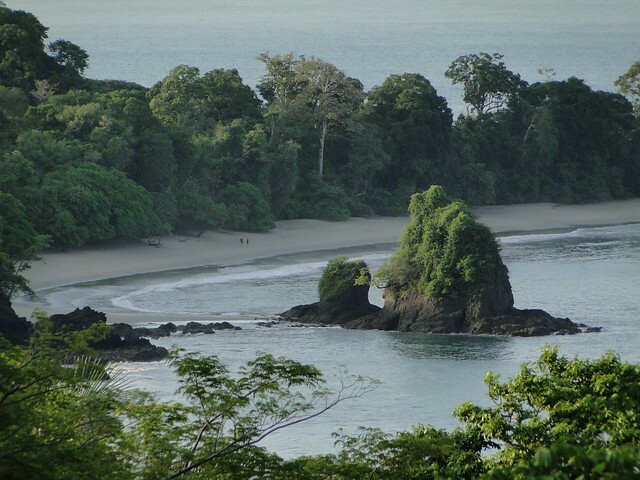 Admission: Manuel Antonio is one of the pricier national parks. Adults are $16, children under 12 are free. The fee for locals is $3. Note that most food and beverages are not permitted inside the park. Plan to bring water and then head outside of the park for lunch nearby. Puerto Escondido is the most remote and makes for a gorgeous spot to relax while soaking in the surrounding views. You can access it by following the Playa Puerto Escondido trail. However, be sure to time your visit during low tide when there is actually a beach to view! Playa Espadilla Sure/Norte are expansive public beaches right by the entrance to Manuel Antonio. With many restaurants, vendors and shops lining the beach, you’ll find a bit more action here than the spots located inside the park. This is also the best beach if you’d like to try jet skiing or other water sports. Playa Gemelas is another small but beautiful beach accessible via a trail. It’s named for the two twin islands that lie just off its coast. You'll also want to time your visit to Playa Gemelas during low tide. 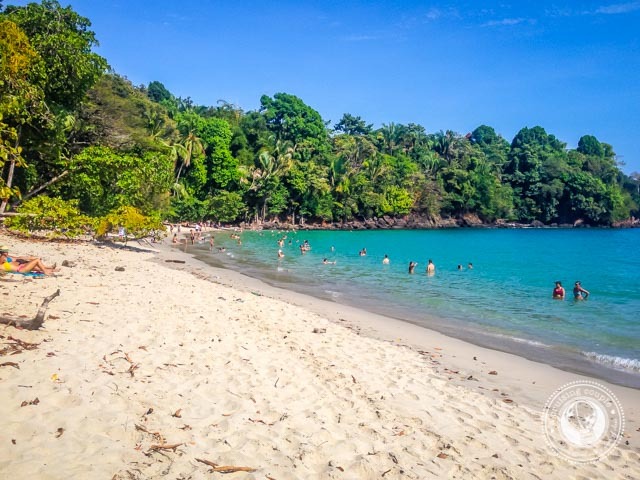 Playa Manuel Antonio is perhaps the National Park’s most famous beach. It’s the easiest to access within the park and reminiscent of Caribbean beaches, with white sand and turquoise waters. Keep your eyes peeled for monkeys and other wildlife that like to hang out in the trees lining the beach. 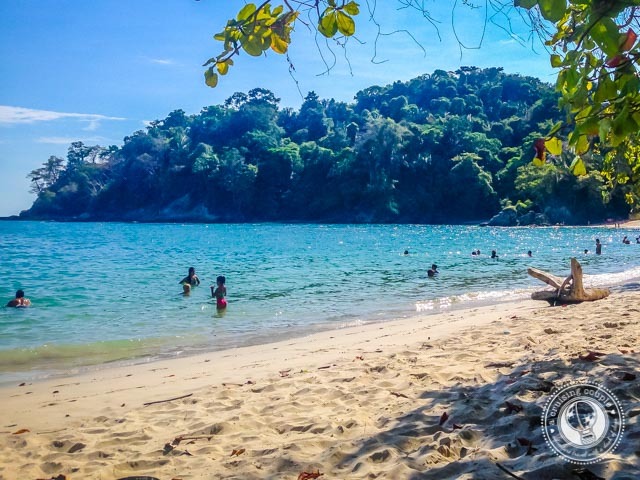 Apart from visiting the beaches, there are numerous marked hiking trails throughout Manuel Antonio that make for perfect spots to look for wildlife. Toucans, monkeys, lizards, raccoons and sloths are some of the most common animals for which to keep an eye out. There are heaps of restaurants serving up just about anything you’re craving. The Falafel Bar is one of our top picks for excellent pitas, hummus, smoothies and, of course, falafel. If you need to fuel up, try Cafe Milagro. This cafe features premium single origin coffees in a lovely garden patio. The wraps are also delicious. For something a bit fancier, try La Luna. Located at La Gaia Hotel and Reserve, this fine dining option features excellent meat and seafood dishes with one of the best views in the area. You’ll find accommodation to meet every budget and style around Manuel Antonio National Park. For a splurge, you can’t go wrong with Arenas del Mar Beachfront and Rainforest Reserve. An elegant property complete with friendly staff, delicious restaurant and private beach ensures you’ll want for nothing. The hotel can also arrange local excursions such as zip lining, whitewater rafting and dance lessons. It also happens to be an excellent kid-friendly hotel if traveling as a family.